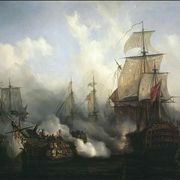 HistoryOfShips.net is place where you can read all about history of different types of ships, maritime, sailing and sails. Also, here you can find interesting information about ships, boats and other historical watercrafts. Since the dawn of time, we made ships, first small and primitive and then larger and more sophisticated. Wanting to conquer water as it did land, humanity invented ships. 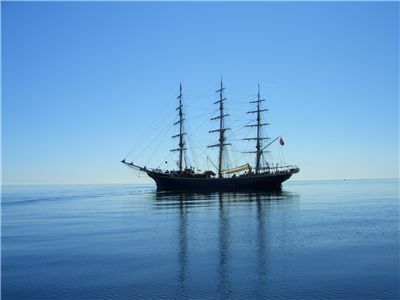 By definition a ship has been any large buoyant watercraft. But it is not so simple because so are boats. Some say that ships can carry a boat but boat can’t carry a ship (difference in size) while other say that boat has only one deck while a ship can have many. There is also definition that they have different centers of gravity (above and below water) and when turning, boat will lean into a curve while a ship will lean out. Truth is that they are both part of the same history. They developed alongside humanity and become an important part of modern commercial and military systems. 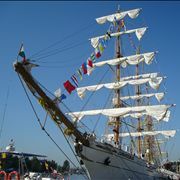 In most maritime traditions ships have individual names. 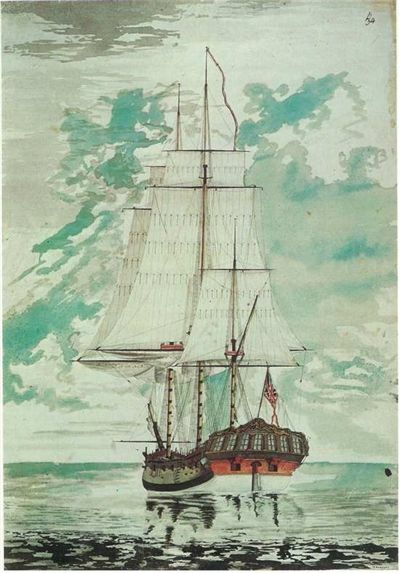 Modern ships may belong to a ship class often named after the first ship of that class. In the beginning, some 10,000 years ago, people used rafts made from bamboo, bundles of reeds, air filled animal skins and asphalt covered baskets to cross bodies of water. 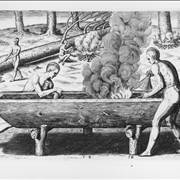 There are also theories that the earliest seaworthy boats may have been developed as early as 45,000 years ago and were used for habitation of Australia. 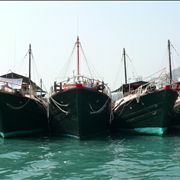 First uses for these kinds of boats were for travel and food gathering (fishing). By around 3000 BC, Ancient Egyptians made ships from wooden planks and woven straps and used them in trade. The first recorded ship with name belongs to them. It was called Praise of the Two Lands from 2613 BC. Others also built their ships: Minoan civilization in Crete had evolved into a naval power in 2000 BC while the Phoenicians were the first to sail completely around Africa. Ancient Greeks were not far behind: they explored and colonized the Mediterranean by ships and around 340 BC, the Greek navigator Pytheas of Massalia sailed from Greece to Western Europe and today’s Great Britain. By the 2nd century BC, Rome called Mediterranean - Mare Nostrum (Our Sea). At the same time China developed its navy as well as naval technology is water tight compartments. At first these civilizations used celestial navigation but in time they developed magnetic compass and started using cartography. Navigational technology didn’t change much until the Renaissance, and remained fairly primitive but that did not prevent some civilizations, like Genoa and Venice, Hanseatic League, Byzantine Empire and Vikings, to become sea powers. 14th century sees new ideas in the ship design and ships began to develop towers on the bow and stern. These towers in time changed to forecastle and sterncastle. Freeboard is also increased which allowed for artillery. During the 15th century, China's Ming Dynasty assembled one of the largest and most powerful naval fleets in the world for the diplomatic and power projection voyages of Zheng He. Others, like Swahili Kingdoms, the Somali sultanates, Arabia, India, Venetia, Persia, Egypt and Portugal also traded across the oceans. 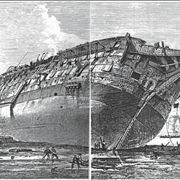 Japan had one of the world's first iron-clads in the 15th century. Columbus sailed Atlantic and after that European exploration rapidly accelerated. Ships grew bigger and different in use. 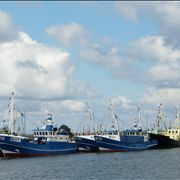 There were warships but there were also fishing ships and ships for cargo - trading ships. Maritime trade was driven by the development of shipping companies which went hand-in-hand with exploration. 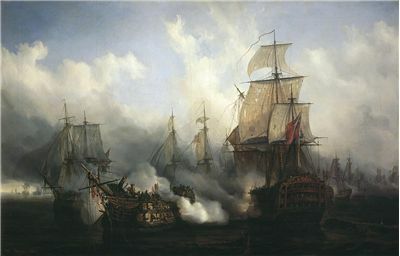 In 18th century, the French Navy developed a new type of military ship known as a ship of the line which many European fighting fleets started using. They were 56m long and had crew of 800 men. 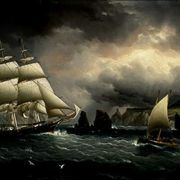 In the 19th century clipper was invented which was popular as cargo ship until the first steam ships. Late 19th century brings industrial revolution and new mechanical methods of propulsion, and ships made from metal. 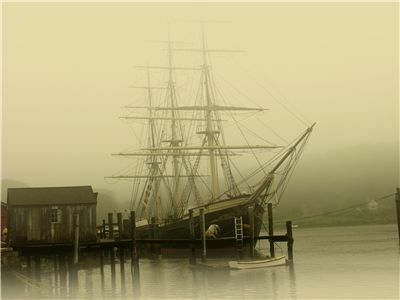 Today, ships are still used for travel, trade and in wars. Military ships are generally “divided” between United States, Russia, United Kingdom and China.